It looks really fantastic so far, can't wait to see it completed! Before making further extensions Peter I really think MOTAT and the council needs to sort out the driveway road into the hangar. Every time I have been there I have heard people moaning about it, and the potholes seem to get bigger and bigger. I know it's on an old rubbish dump and continues to move, but surely some solution could be found. Marsden matting would be better than the current roadway. After that, then yes new offices, media room etc would be a great step too. The official entrance is now off Meola Road and not opposite the Zoo.The cart track that comes in from that end is apparently leased to a Council contractor hence the holes and a lake to cross. 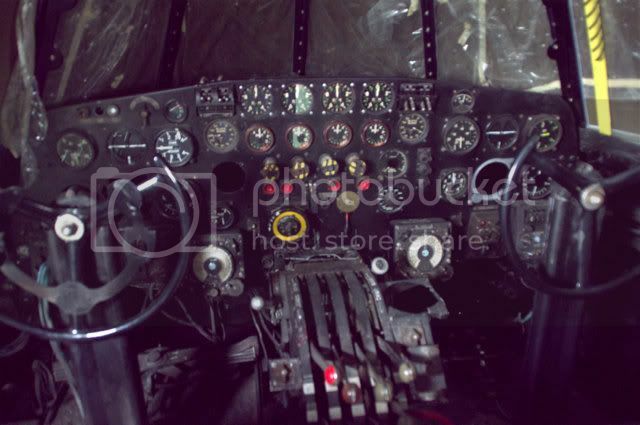 Better to use Meola which means that you can also get to the Belfast hangar where the Mossie is, with dry feet. Exactly and its now two years since we have asked for signage. A problem is that all MOTAT 1 people think that all visitors will arrive by Tram ! This is my first posting with photos, so I hope that the photos make it! I visited MOTAT earlier this week, not having been there since construction started on the new hangar. 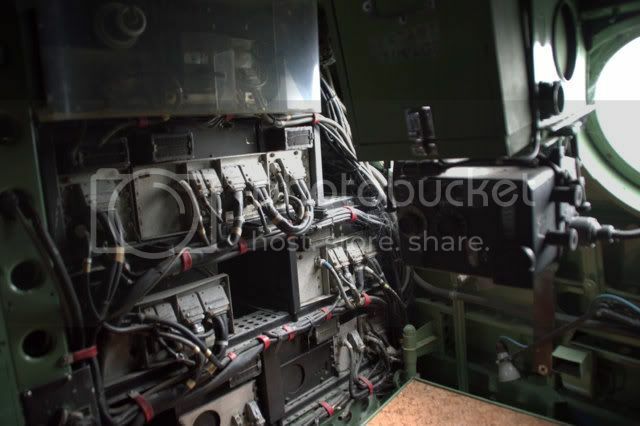 I was fortunate enough to be invited into, and shown through the interior of Sunderland NZ4115. 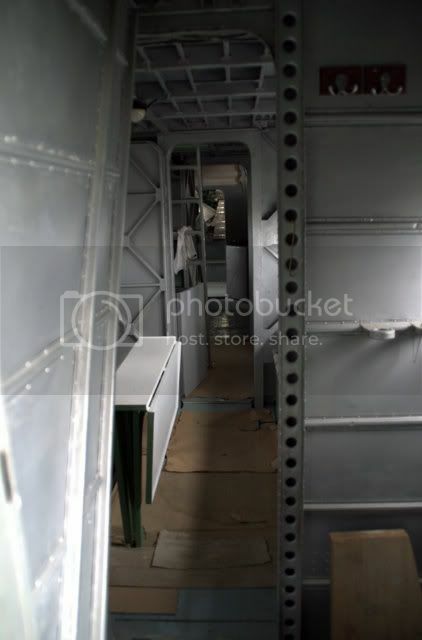 In spite of the huge exterior, the crew compartments were much smaller than I would have imagined. As I have future plans to build a model of NZ4115, using the White Ensign Models brass interior with the Airfix kit, I took a few photos of the interior. 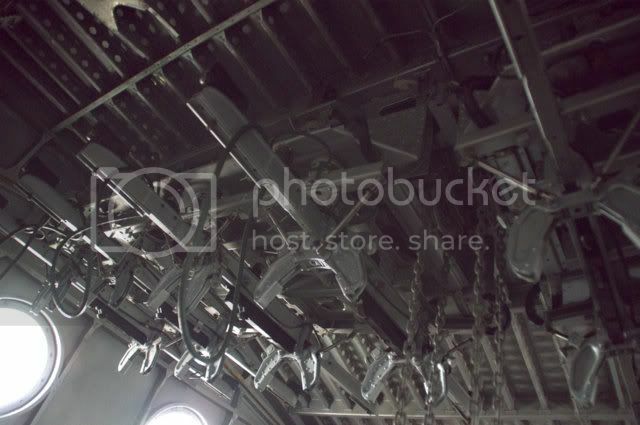 They were taken with 18 mm lens, hand held with the camera at 1600 ISO. I know many museums do not allow flash because of their high UV output and had not asked MOTAT about their policy (though I note some of the posts here used flash). 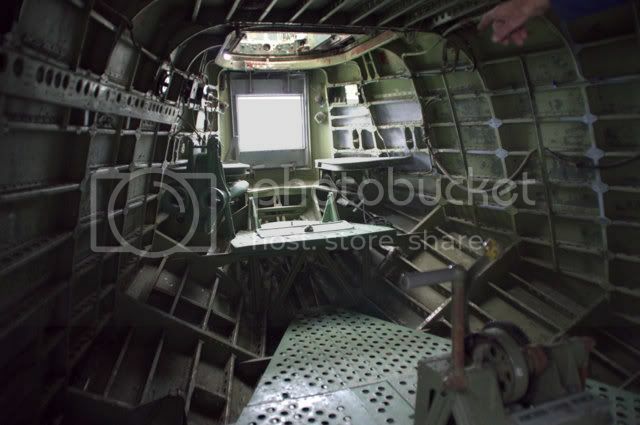 Here are some of the photos of the interior of the Sunderland. 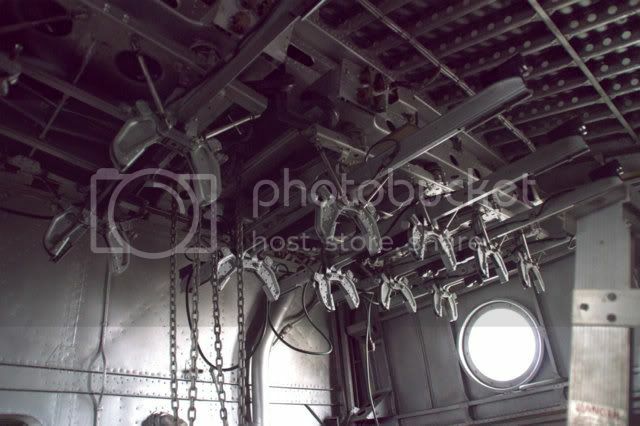 Bomb hoist, starboard side, looking aft. The port side has a tinplate mock bomb attached. 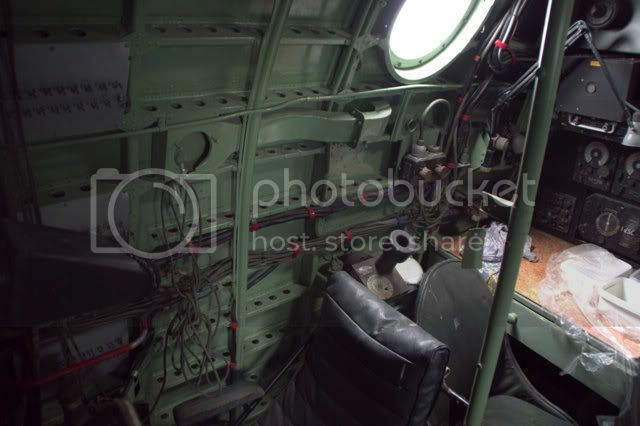 The interior of NZ4115 appears to be in very good condition and restoration is obviously ongoing despite the aircraft currently being stored outside. Photos didn't make it, have to figure out how. Nice shots Stuart, thanks for posting. Note that one of you photos isn't coming through. Thanks for the photos Stuart. hand in the bow picture). Auckland's Motat has a particular place in the city's heart. Started and sustained by engine enthusiasts, the Museum of Transport and Technology has a disorganised charm. I'm hoping to get to “MOTAT-2” tomorrow. I will be flying up to Auckland (from Masterton) in a couple of hours, then returning on Sunday evening. I've got stuff planned for all day Sunday, but nothing planned for tomorrow, so I'll head out to Western Springs and take a look around. 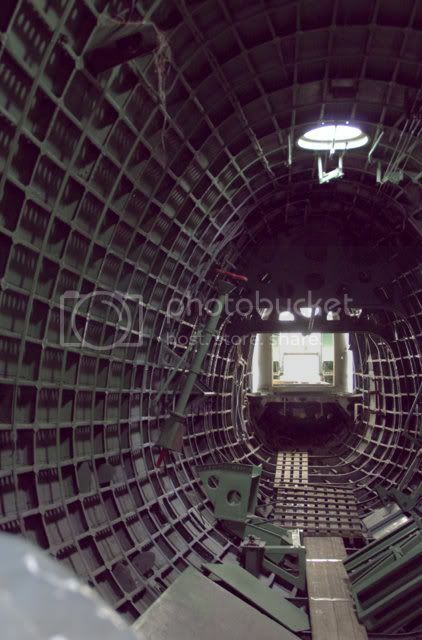 Who knows....I may even find somebody there who can give me a peek inside the Sunderland and Solent flying-boats. Fingers crossed! That was an extremely quick trip from Masterton to Auckland earlier this evening....only 55 minutes in the air and that included the Captain doing a complete 360 degree turn over Taumaranui so everyone could see Mount Taranaki silhouetted in the colours on the western horizon from the fiery sunset just before we took off from Masterton. Those Beech 1900s can really move across the countryside. That is unusual and neat to hear the pilots gave everyone a good look at the sunset like that. I did wonder if there was some other motive, thanks for the inside knowledge there Al. Do the contollers only do that to the little aircraft to stack them around the biggies, or do the likes of Airbus and 737's also get orders to hangfire for a bit sometimes? This is probably the wrong thread for this discussion (perhaps Dave, you could split parts of it off into another thread), but to tell the truth, I actually like travelling in Beech 1900s. You have a sense of SPACE because you aren't crammed into a half-row with another person (Q300 or ATR72), or squashed in like sardines (737). 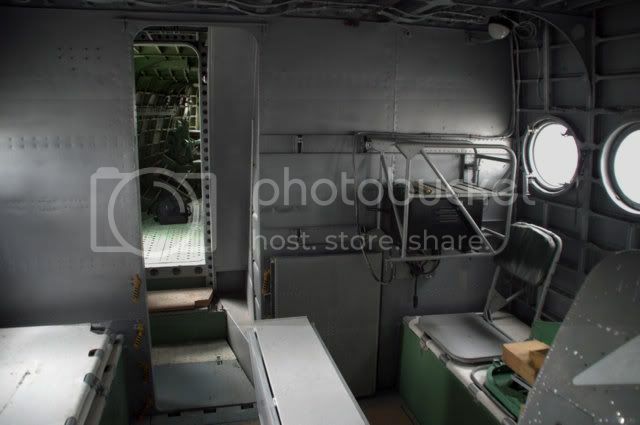 The sense of space is probably illusionary, but it just seems like you have that room because you only have a fuselage wall on one side of you and an aisle on the other. Which also means you can stretch one leg out in the aisle if you wish. And if the seat opposite you (across the aisle) isn't occupied, then you have an even bigger sense of space. Another thing....if I'm flying from Wellington to, say, Christchurch, or Queenstown, and have a choice of a jet service or a turboprop service, I'll take the turboprop service every time simply to avoid having to go through the security check. It's not that I'm trying to hide anything, but I object to having to take my laptop out of its bag, empty my pockets and stick everything in a tray, then gather everything up again after the security check and also having to stow my laptop back in its bag. I would put money on the chances of someone smuggling something onboard a domestic service and committing a terrorist act as being many, many, many times less than the chance of being involved in a serious motor vehicle crash on the way to or from the airport. Okay, I know there was that incident with the woman on an Eagle Air Beech 1900, but that was an extremely rare and isolated event. I never heard of anything happening on an Eagle Air Beech, but there was the nutcase who jighjacked the Air National plane a couple of years ago too. I have no problem with security if it keeps me and others safe. They don't do it from Hamilton but I have gone through it in other airports. No problem. In fact last time i flew from Auckland to Christchurch both the security guard and myself were very intrigued to see all the electronic wizrdry packed into the interior of my video camera, it's an amazing thing their xray machine.